In starting her path to becoming a world class fashion expert, Shiona Turini spent one year working as an unpaid intern for Yves Saint Laurent, after persistently showing up for three consecutive days trying to get the company to hire her after initially being turned down. 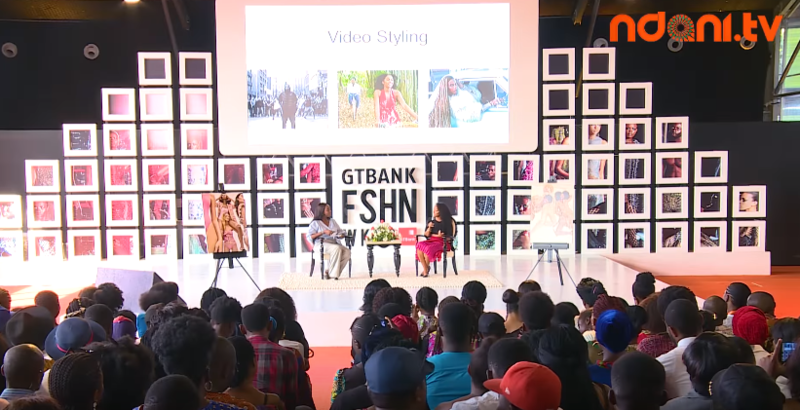 Speaking in front of a full house at her recent appearance in Nigeria where she hosted a Masterclass, Shiona Turini explained that during a school project she had to shadow someone at their job, and the person advised her to get an internship and casually told Ms Turini she could intern for her. She explained she always wanted to work at Yves Saint Laurent as they were the first brand to put black models on the runway, so took the offer seriously. Years after what what she called her “stalker” start to get a start in the fashion industry, Ms Turini has now built an extremely impressive resume, having worked with multiple major celebrities including superstar Beyonce, spoken at the White House, and worked for leading world brands such as Cosmopolitan and Teen Vogue. Ms Turini said one of her favourite projects she worked on was Nike’s Equality campaign, which featured superstar athletes including LeBron James, Serena Williams, Megan Rapinoe, and Gabby Douglas. During her presentation, they showed photos of some of the fashion shoots Ms Turini has been involved in, including some in Bermuda, with Ms Turini saying she would “never say no” to to a fashion shoot in Bermuda. “I think its very important to stay close to your roots and where you come from,” she said.